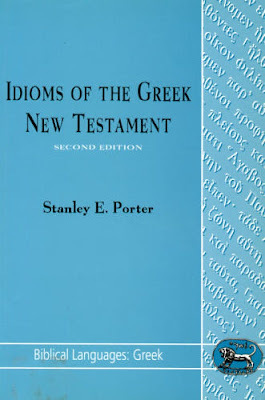 Lately, I've been attempting to prepare for Entrance Exams so I was looking to purchase Stanley Porter's greek grammar, Idioms of the Greek New Testament. 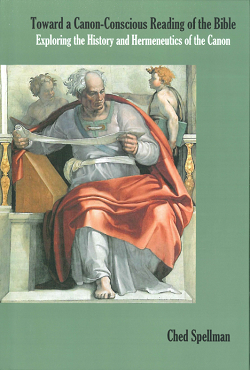 Porter's text is well-written and clear, offering helpful overview and insight into the main patterns of language in the New Testament (I also like that he limits his study to the Greek of the NT, and develops the concept of Verbal Aspect). I've been meaning to pick this volume up for a while, but I never did because it runs about $65-70. Needless to say, I was pumped when I saw that Amazon.com was offering it for $17.58 with free shipping (if your order total is over $25). That's a 75 % savings! I didn't believe it until I actually received it in the mail (I figured I'd end up with some discarded German version or something). I don't know how long this sale will last, but if you're interested in studying Greek, you should pick it up before Amazon.com realizes some junior-associate-psuedo-web-specialist-with-four-screens made a typo while logging in the price totals!